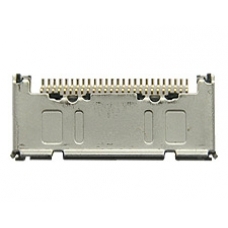 The 26 pin connector is the component that sync and charges your Acer unit, if you have damaged this component by bending or damaging the pins you will need to replace this in order to restore sync and charge functionality. Please note: replacing this part will require soldering skills. If your Acer N50 Pocket PC fails to sync with your PC or charge via the sync socket then this in-house repair service is..